Sagen is a researcher at the Nansen Environmental and Remote Sensing Center. Her expertise is in applied mathematics specialized within ocean acoustic. Her research interests are focused on using new technologies for observing the Arctic environment, such as acoustic tomography, passive acoustics, floats and gliders. She was deputy-coordinator in the EU projects (AMOC (1998-2001) and ACOBAR (2008-2013)), and she led the follow up ACOBAR II project funded by RCN project. Sagen has led the development of the acoustic tomography system in the Fram Strait, and coordinated annual ocean/acoustic cruises to the Fram Strait since 2007 (involving open ocean vessel, icebreakers and aircraft missions). Currently, Sagen lead the UNDER-ICE – Arctic Ocean under melting ice; and she is the deputy coordinator of the EU project INTAROS - Integrated Arctic Observation System. Sagen has a strong international network in USA, and Europe within research and technologies. Sagen is a member of the Acoustical Society of America and she is a member of the Norwegian Scientific Academy for Polar Research. 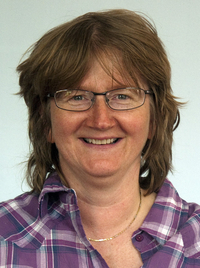 She has served as member in research programmes committees in the Norwegian Research Council, and is a former member of the Norwegian National International Polar Year Committee (2004-2005). She is member of the ITU/WMO/UNESCO-IOC Joint Task Force (JTF) - Green Cables sin 2013 and of the scientific steering committee of the International Quiet Ocean Experiment (SCOR committee) from 2016.She received her Cand.mag. in 1985, Cand. Scient. in 1987 and Dr. Scient. in 1998 in applied mathematics from the University of Bergen, Norway. Hope G. Acoustic propapgation under the Arctic sea-ice. 2018. Dushaw B, Sagen H, Beszczynska-Møller A. Sound speed as a proxy variable to temperature in Fram Strait. Journal of the Acoustical Society of America. 2016;140(1). Dushaw B, Sagen H, Beszczynska-Möller A. On the effects of small-scale variability on acoustic propagation in Fram Strait: The tomography forward problem. Journal of the Acoustical Society of America. 2016;140(2). Dushaw B, Sagen H. A comparative study of moored/point and acoustic tomography/integral observations of sound speed in fram strait using objective mapping techniques. Journal of Atmospheric and Oceanic Technology. 2016;33(10). Storheim E, Yamakawa A, Sagen H, Pedersen G. Impact of long distance propagated seismic signals on the soundscape in the Fram Strait. Use ACOBAR data and PE modeling. 2016. Mikhalevsky PN, Sagen H, Worcester PF, Baggeroer AB, Orcutt J, Moore SE, et al. Multipurpose Acoustic Networks in the Integrated Arctic Ocean Observing System. Arctic. 2015;68(5). Sagen H, Sandven S, Haugen SA, Worcester PF, Beszczynska-Möller A, Kemp J, et al. Design and specification of the ACOBAR acoustic array in the Fram Strait. 2011. Sagen H, Sandven S, Beszczynska-Möller A. Orgelpiper måler havtemperaturen i Arktis. Teknisk Ukeblad. 2011;158(04/3):75. Sagen H, Sandven S, Fahrbach E, Beszczynska-Möller A, Klatt O, Worcester PF, et al. AOEM deliverable D9 - Final report on design of the acoustic network for acoustic tomography, underwater navigation and passive listening in the Fram Strait. 2011. Taroudakis M, Skarsoulis E, Papadakis P, Sagen H, Sandven S, Jesus S, et al. Ocean Acoustic Observatories - Concept and spesifications. 2011. Haugen SA. Acoustic Tomography in the Fram Strait: - Predicted and measured travel times. 2010. Sagen H, Dumont D, Beszczynska-Möller A, Haugen SA, Sandven S. DAMOCLES deliverable D4.1-06 - Report describing the validation experiment of FRAM strait model. 2010. Haugen SA, Sagen H, Sandven S, Dzieciuch MA, Worcester PF, Skarsoulis E, et al. Results from the Fram Strait acoustic tomography experiment and system evaluation. 2010. Sagen H, Sandven S, Worcester PF, Kemp J. Report on Tomography Array ready for deployment. 2010. Sagen H, Haugen SA, Sandven S. Results of assimilation of acoustic measurements into TOPAZ-3. 2010. Sandven S, Kahrs HR, Eknes E, Kvingedal B, Bruserud K, Nilsen F, et al. ICESONAR Monitoring of sea ice thickness from a subsea 4D sonar. 2010. Sagen H. Final Environmental Assessment Report for the ACOBAR acoustic tomography experiment in Fram Strait. 2009. Spikes C, Labak SJ, Frankel A, Vigeness K, Raposa KV, Schroeder C, et al. Final EAR for the ACOBAR Acoustic tomography experiment in the Fram Strait. 2009. Sandven S, Sagen H, Haugen SA, Wåhlin J, Lind JS, Myking S, et al. The Fram Strait tomography experiment 2008. 2008.